Frederick the Wise is back from the printer! Read below what others are saying about this fascinating biography of Martin Luther's protector. To his family, friends, peers, and subjects, Elector Frederick the Wise of Saxony was much more than simply Martin Luther’s noble protector. Dr. Wellman’s thoroughly researched and engaging biography paints a vivid image of the Saxon elector. It is sure to become a valuable resource for students of German history and the Reformation period. Interested readers will be introduced to a Christian prince whose humanity and integrity were rare for someone of his elite status within the German empire. They will also encounter political intrigue and scandalous behavior. Praiseworthy, yet not without his flaws, Frederick the Wise steps out from the pages as an exceptional and noteworthy man of his time. Sam Wellman’s telling of the story of the public and personal life of Luther’s celebrated protector, Frederick the Wise, is a welcome addition to Reformation scholarship as we approach 2017. His careful research and well-crafted prose provide readers with insights into the risky yet resolute Christian prince who defended Luther even as he received the consolation of evangelical pastoral care from the Reformer. Aspects of the relationship between these two men often only alluded to in standard Luther biographies are developed with precision by Wellman. In this book we learn much about Frederick but a lot about Luther as well. In a biography with the character development, twists and turns, and absorbing storyline of a novel, Sam Wellman recreates the life and times of the powerful and resourceful ruler who made the Reformation possible. Duke Frederick emerges as the adult in the room of squabbling princes and an inept emperor. A man of peace, a vigorous patron of the arts and education, and a skillful player in the byzantine mazes of late medieval politics, Frederick was also a man of moral and theological contradictions. But Frederick was a shrewd and stalwart defender of Martin Luther, who was not above criticizing his protector. 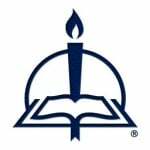 This book brings the historical context of the Reformation to life. 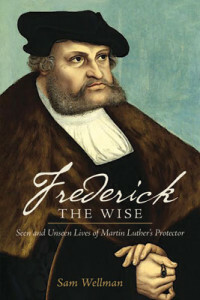 Frederick the Wise typically plays a supporting role in histories of the Lutheran Reformation—important, but in the wings. Here he rightfully occupies center stage. Wellman’s quick-moving treatment of Frederick’s life is a delight to read and fills an important gap in English-language Reformation resources. Sam Wellman has written a thorough biography of one of the most significant princes in late medieval Germany. While many recognize Frederick’s important role in the early part of the Lutheran Reformation, Wellman’s biography reveals Frederick’s significance as an elector in the Holy Roman Empire of the German nation. This work also demonstrates Frederick’s political sophistication as someone connected to the most powerful leaders of his own time. Simply put, if Luther’s Reformation had never occurred, scholars would still find Frederick’s life to be a compelling object of scholarship. However, the Lutheran Reformation did take place and Wellman’s biography explains the political and social context of that pivotal event. Frederick’s defense and support of Martin Luther in the early 1520s ensured that the Reformation did succeed as a social and political movement.